Cheery porcine lanterns, couture inspired by 18th-century classic paintings from imperial China, and a musical adaptation of the 1983 Taiwanese film "Papa, Can You Hear Me Sing (搭錯車)" are among the main attractions set for the 2019 LunarFest running Jan. 29 through Feb. 19 in Vancouver. One of the most prominent contemporary symbols of the Lunar New Year is the hand-held lantern, and this year's LunarFest has invited Taiwanese artist Lu Yen-chun (盧妍均) to customize its 2019 selection to represent the 12 participating nations ― Canada, Taiwan, Vietnam, South Korea, China, the Philippines, Japan, India, the United Kingdom, Ukraine, Thailand, and Mongolia. 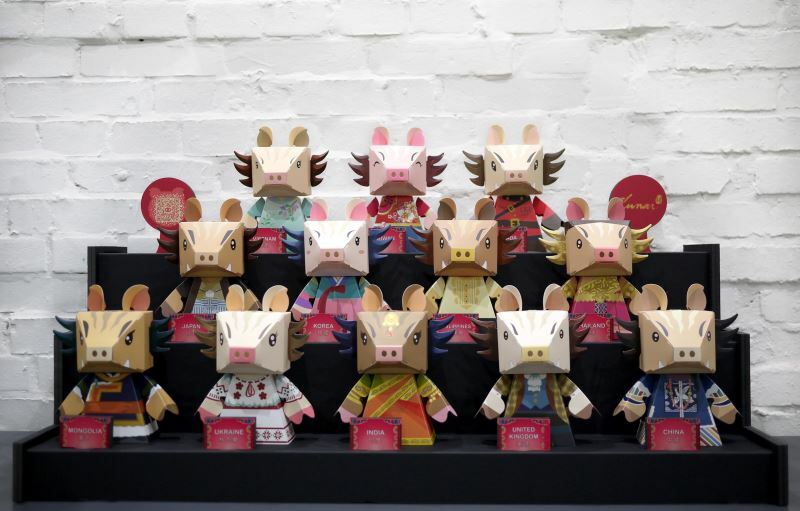 These one-meter-high "pig heroes" will be presented in attire indicative of their cultural heritage, along with a QR code printed on the back for lantern carriers to scan and spread some goodwill and generosity this winter by donating to a charity movement championed by LunarFest. With the support of Taiwan's National Palace Museum, works inspired by the legendary imperial painter Giuseppe Castiglione, an Italian Jesuit priest who served three Qing emperors and the creator of such works as "One Hundred Horses (百駿圖)," will also greet Vancouver this Lunar New Year. Visitors can peruse through a unique fashion exhibition on Castiglione-inspired couture styled by eight Canadian and Taiwanese designers, and see classic collections at the National Palace Museum in Taiwan come alive via virtual reality and experience life in the imperial courts of Qing dynasty. These events will be held at the Oakridge Center. 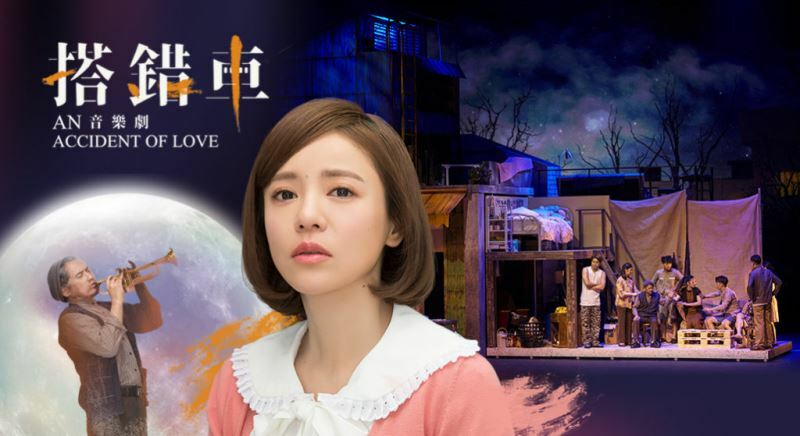 Rounding up the Taiwanese headliners at LunarFest is "An Accident of Love (搭錯車)," a live musical adapted from the 1983 Taiwanese cinema hit "Papa, Can You Hear Me Sing." Over 30 Mando-pop songs from the film remain popular today, and singer Della Ding Dang (丁噹) will evoke the hits of Taiwanese diva Su Rui (蘇芮), whose breakthrough hit "Any Empty Wine Bottles for Sale (酒矸倘賣無)" served as the film's theme, in leading this classic story about family bonds and elusive dreams. Other highlights will include a special lantern designed by Taiwanese indigenous artist Miru Hayung (米路哈勇), whose art is inspired by the traditional weaving patterns and facial tattoos of the Atayal people; a digital, interactive installation for children to learn about world currency; uniquely designed piggy banks aimed at promoting the habit of saving from an early age; and crafts workshops on origami, lucky charms, paper cutting, and other decorative items to bring home. LunarFest 2019 will take place from Jan. 19 through Feb. 19 across multiple venues in Vancouver. Please visit lunarfest.org for the full program. Visitors Today:119. All Time Visitors:1,229,926.